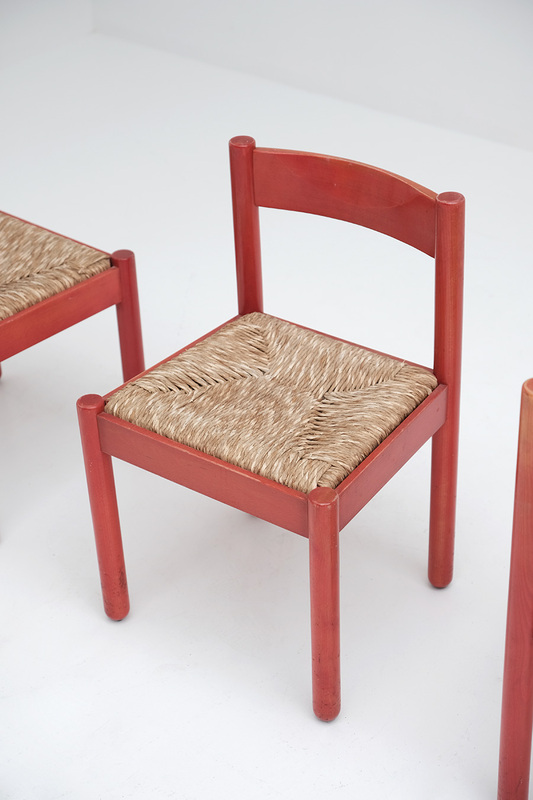 Designer Vico Magistretti was a master in creating playful designs with eye for detail. 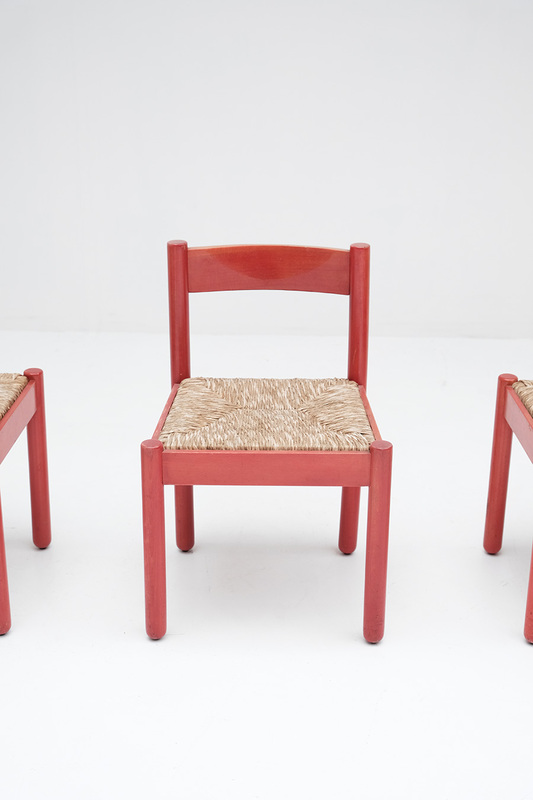 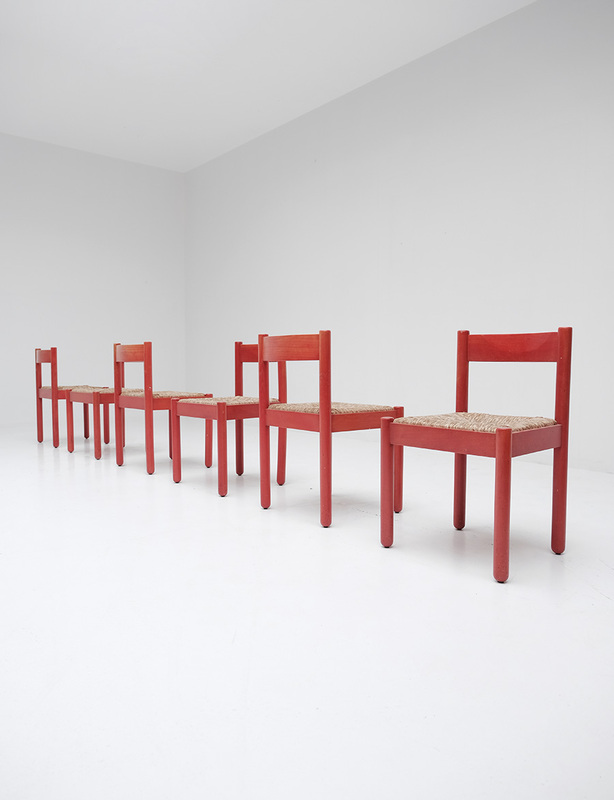 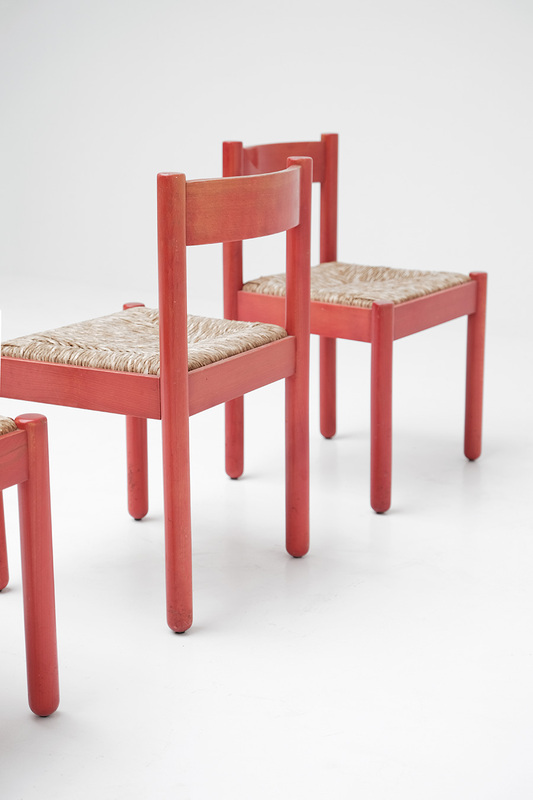 This set of Carimate chairs is found in a deep vermillion red that gained a nice patina over the years. 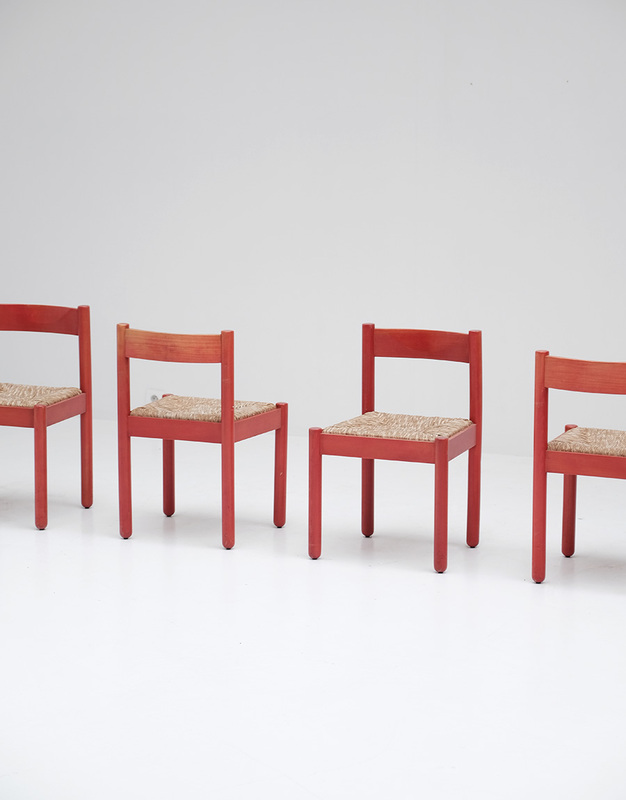 This armless edition has rounded legs that are giving the chairs a floating effect. 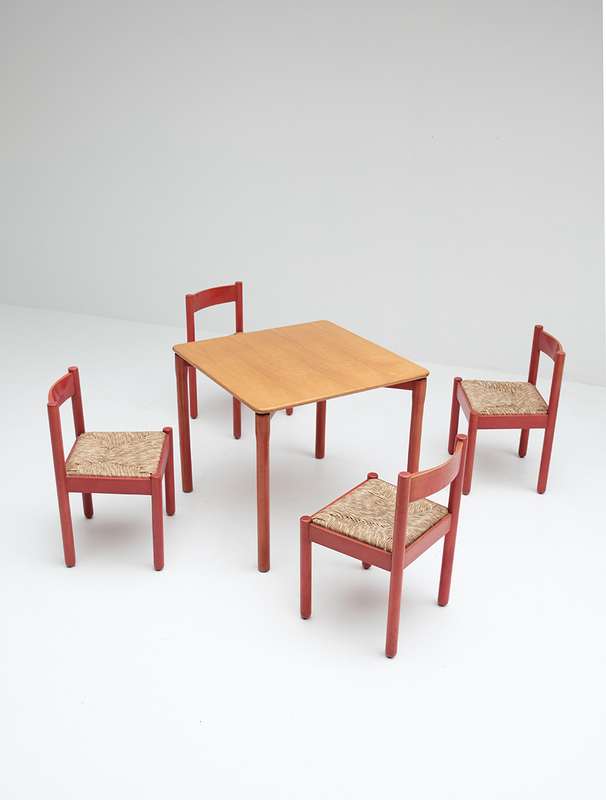 A matching table is found on the website as well.